Stayflat Plus White - 9.75" x 12.25" Poly Mailer - 12" x 15.5" Poly Bubble Mailer - 5" x 10"
Poly Bubble Mailer - 14.5" x 20" Poly Mailer - 9" x 12" Kraft Bubble Mailer - 7.25" x 12"
Clear Acrylic Tape - 3" x 55 yds. x 1.80 Mil Kraft Bubble Mailer - 10.5" x 16" Poly Mailer - 24" x 24"
Poly Mailer - 19" x 24" Kraft Bubble Mailer - 9.5" x 14.5" Kraft Bubble Mailer - 5"x 10"
Kraft Reverse Tuck Cartons - 2.375" x 1.5" x 3.5" Poly Mailer - 24" x 24" Poly Bubble Mailer - 10.5" x 16"
Clear Acrylic Tape - 2" x 110 yds. 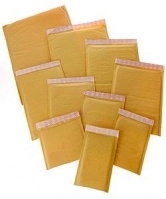 x 2.0 Mil Poly Bubble Mailer - 8.5" x 14.5" Poly Mailer - 19" x 24"
Kraft Bubble Mailer - 8.5" x 14.5" Poly Mailer - 6" x 9" Poly Mailer - 7.5" x 10.5"
Poly Bubble Mailer - 12.5" x 19" White Reverse Tuck Cartons - 4" x 4" x 6" Poly Mailer - 9" x 12"
Poly Mailer - 14.5" x 19" Kraft Bubble Mailer - 4" x 8" Poly Mailer - 14.5" x 19"
Kraft Bubble Mailer - 6.5" x 10" Kraft Bubble Mailer - 8.5" x 14.5" Kraft Bubble Mailer - 12.5" x 19"
AVG Products is a committed provider of quality wholesale packaging supplies. We proudly serve our clients with superior supplies, including a variety of poly mailers, metallic bubble mailers, reverse tuck cartons, packaging tapes, packing list envelopes, and stretch films. Our commercial grade packaging supplies will easily meet the needs of either the most demanding corporate business or the individual buyer with specialized packaging supply needs. 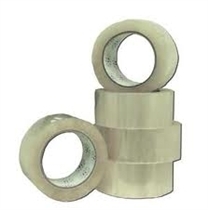 By simply browsing our website, you will find numerous packing supplies to satisfy any need imaginable. We are your number one source for quality packaging supplies at competitive prices. Our numerous clients routinely rely on AVG Products’ wholesale packaging supplies to carry and secure their legal documents, makeup, clothing, electronics, pharmaceuticals, photographs, commercial goods, household furnishings, and various precious metals and sensitive plastics. Whatever their needs, our clients know that they can rely on AVG Products’ wholesale packaging supplies to get their products safely and securely to their intended destination. 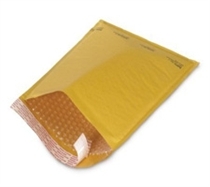 While other packaging suppliers can provide bubble mailers, AVG Products specializes in providing personalized poly bubble mailers that meet your specific needs. This individual focus allows us to provide our clients with a wide range of mailers that are durable, moisture resistant, and tamper-evident. 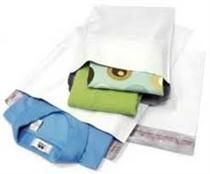 Best of all, our poly mailers are available at extremely competitive prices. We want to be your exclusive source for all of your discount packaging supply needs. We know that our clients take great pride in their products; we take great pride in getting their products safely and securely to their final destination. We look forward to working with you and we look forward to earning your future business.